Posted on November 6, 2017 by jeremyprobert	in Communications Strategy, Corporate Reputation Management and tagged corporate reputation. 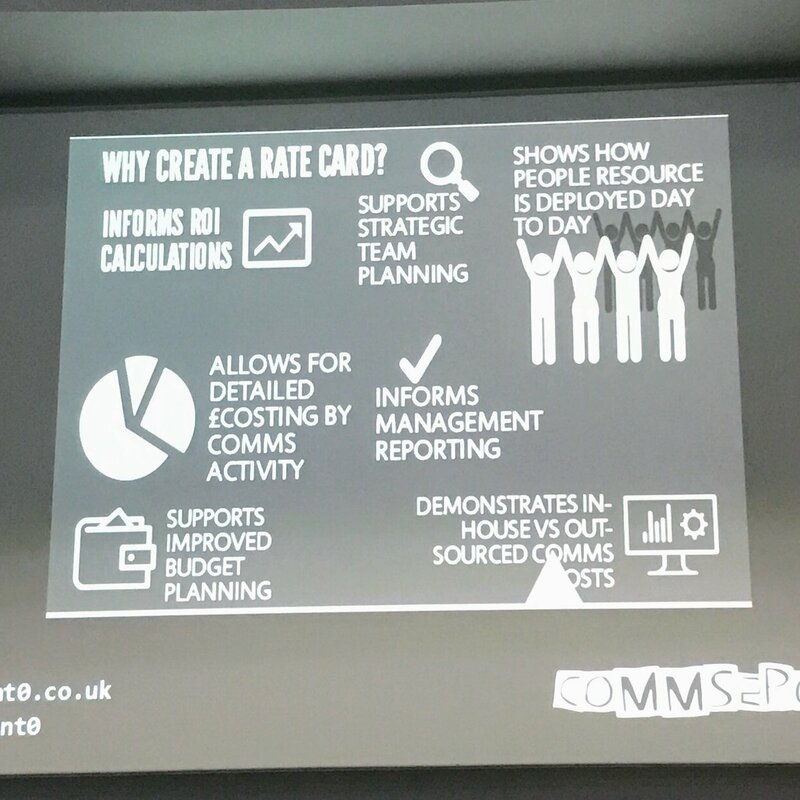 Recently, I came across – not for the first time – the idea of creating a ‘rate card’ for in-house communications activity. Simply put, this is the concept of putting a cost on the team’s time, and on the activity the team carries out. While (normally) the charge would not be passed on to your internal customers, it shows what the service would cost, if it were. The slide below lists the potential benefits. In the cyclical and budget-constrained world of in-house communication, where, I am afraid, there are turf wars and land grabs, creating an agency in-house is a genuinely risky course of action. I understand what drives this thinking. Very often, the in-house communication function is (or appears to be) undervalued and thus is under-utilised (or utilised in the wrong way) and inevitably under-funded. No matter how often it tells its story or sets out its stall, at other teams’ meetings, through its own channels and tools, or on a one-to-one, it’s an uphill struggle. Little or no value is attributed to in-house communication (exceptions may be found at C-Suite and ExComm levels) and no-one wants to engage with it – unless they have a specific story to tell, or the organisation is in crisis. Even then, many senior managers will enrol external communication advisers, apparently based on the premise that if you pay for it, then it’s worth more. So the temptation is to put a cost on the work that’s being done in-house. Not to actually charge anybody, but to demonstrate the value. The problem is that, once done, it’s open to attack. Marketing will say that their agency can do it cheaper. Procurement will get involved in buying print and video. Continuous improvement will demonstrate how processes can be streamlined to require less manpower. Finance will question the numbers. Finance always question the numbers. And then cut the budget. It doesn’t work. It’s like trying to assess the value in a painting by pricing up the paint, brushes, canvas and frame. 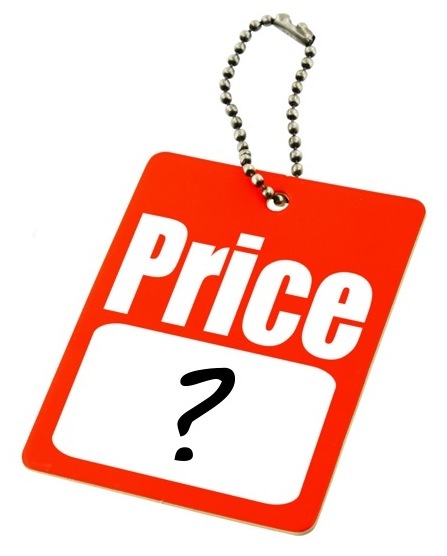 Someone can always get the materials cheaper – but what they can’t buy is the knowledge of how to put them together. The value in in-house communication lies in its strategic approach, bound to the strategy of the organisation. It’s in the team’s depth of knowledge of the business. It’s in its role as a trusted advisor. It’s in its network of contacts throughout the body corporate, and the intuitive way it helps the body function. It’s in its appreciation of business and organisational imperatives, and its understanding of how best to serve them. No other function does this. It is invaluable – you can’t put a price on any of it. ← Moving to 280 – Removing a Valuable Discipline?